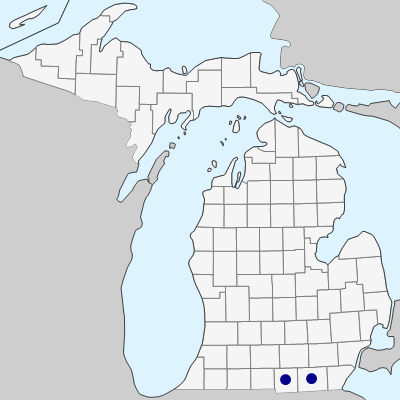 A rare species of floodplain forests and forest openings in southernmost Michigan. 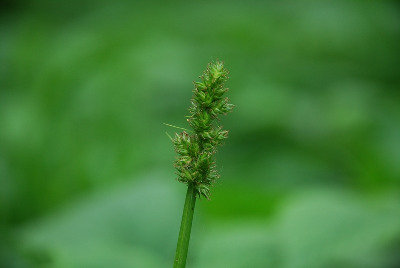 Carex conjuncta resembles very large plants of C. alopecoidea. In addition to the features noted in the key, C. conjuncta often has the inflorescence elongated and interrupted, and the widest leaves 5–9 mm wide. Carex alopecoidea has a more compact inflorescence, only occasionally with the lower spikes separated, and the widest leaves are typically 4–5.5 (–7) mm wide. MICHIGAN FLORA ONLINE. A. A. Reznicek, E. G. Voss, & B. S. Walters. February 2011. University of Michigan. Web. April 22, 2019. https://michiganflora.net/species.aspx?id=935.